Kurt Julian Weill (March 2, 1900 – April 3, 1950) was a German-Jewish composer, active from the 1920s, and in his later years in the United States. 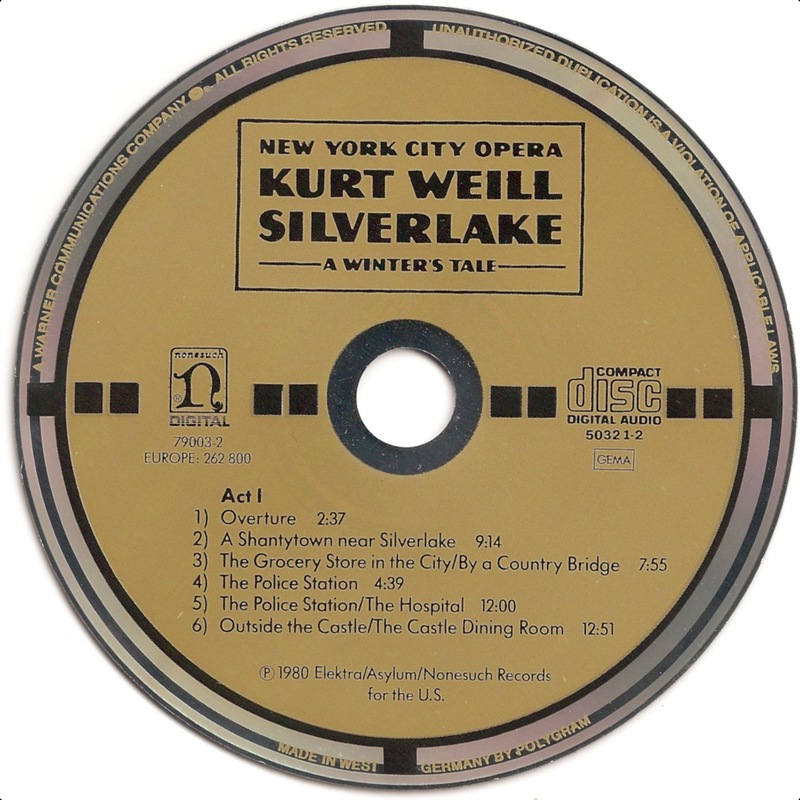 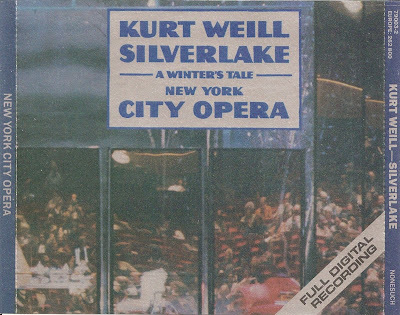 Der Silbersee: ein Wintermärchen (Silverlake: A Winter's Tale) is a 'play with music' in three acts by Kurt Weill to a German text by Georg Kaiser. 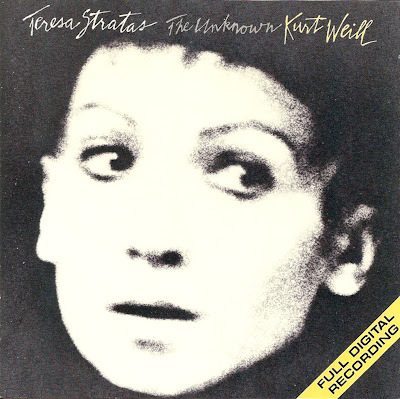 Teresa Stratas, OC (born May 26, 1938, Toronto, Ontario), is a retired Canadian operatic soprano. 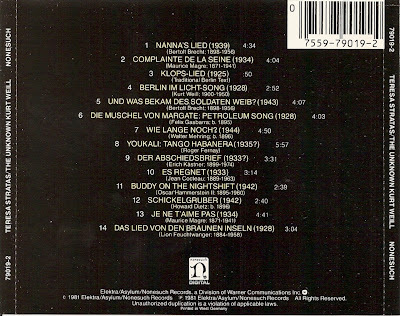 She is especially well-known for her award-winning recording of Alban Berg's Lulu. 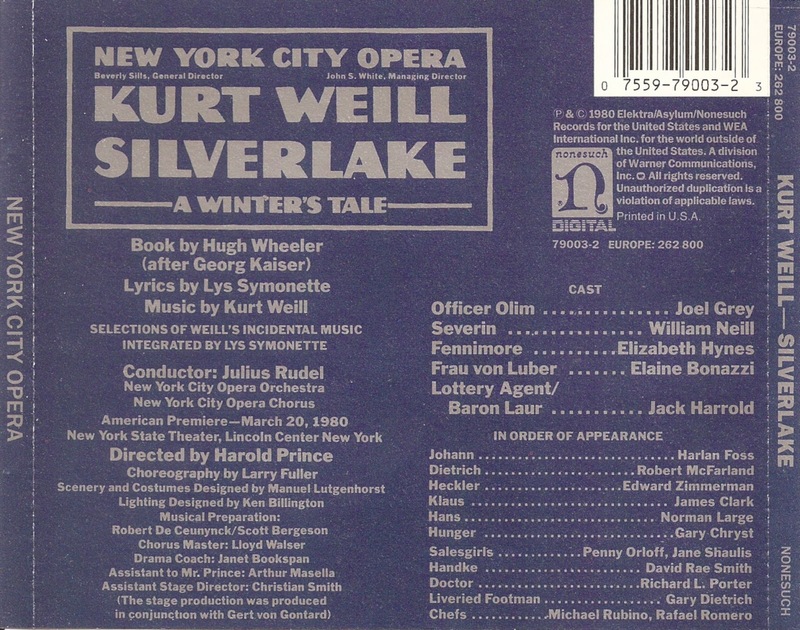 Whilst rehearsing for Mahagonny in 1979, Stratas met Kurt Weill's widow, Lotte Lenya. 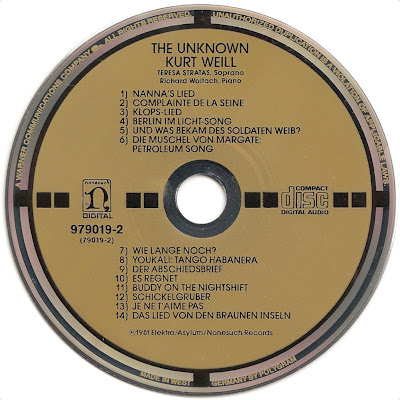 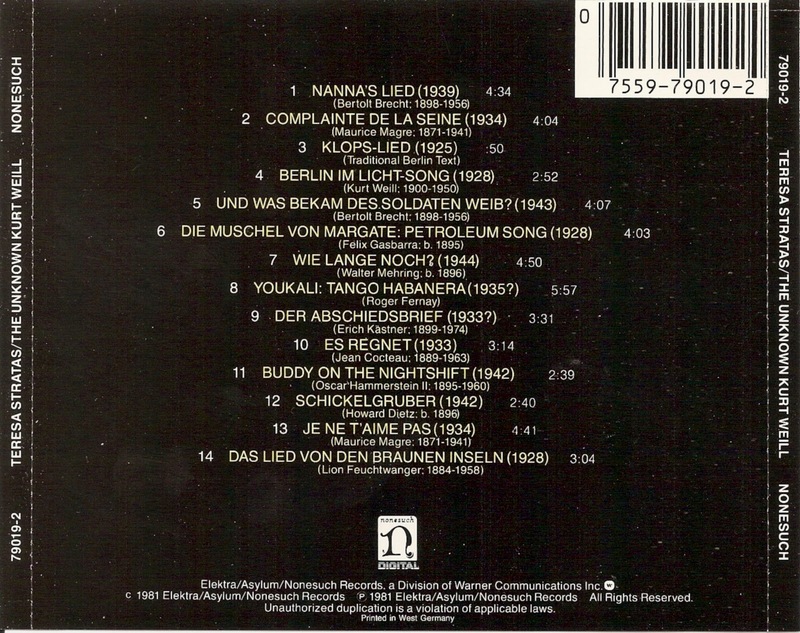 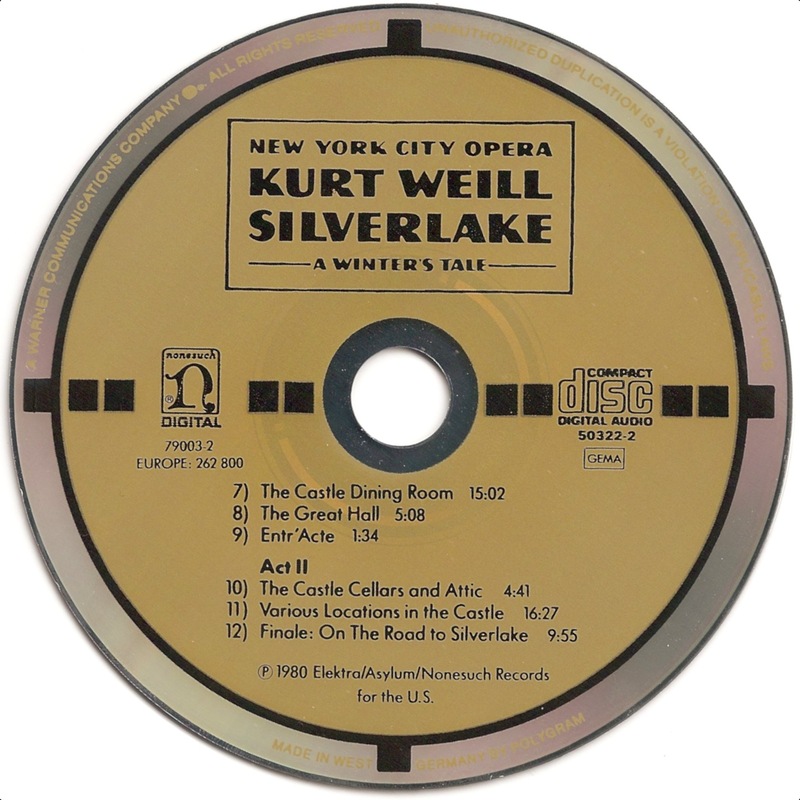 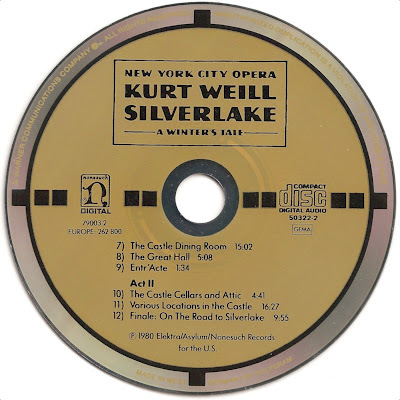 Lenya gave her the scores of previously unpublished Weill songs which she had hoarded until that time, some of which Stratas later recorded on two albums, The Unknown Kurt Weill and Stratas Sings Weill. 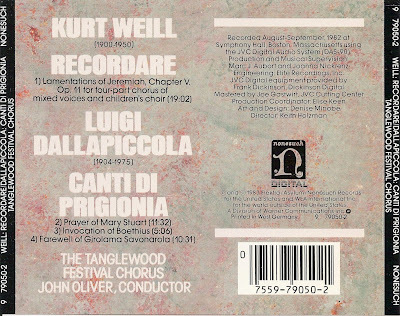 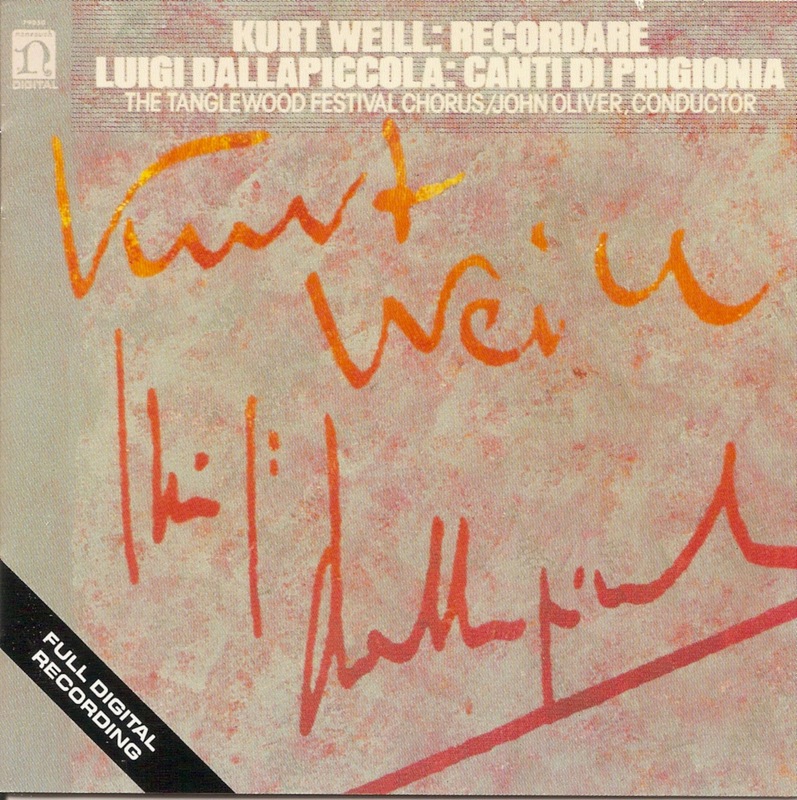 Recordare (Remember) was writen by Kurt Weill for choir and children's choir to words from the Book of Lamentations. Canti di Prigionia (Songs of Imprisonment) is a setting for chorus, two pianos, two harps and percussion by the Italian composer Luigi Dallapiccola.